வெள்ளரிக்காய் அவியல் Cucumber aviyal healthy recipe for weight loss. This recipe is easy and prepared without cooking. This uncooked food is good for your health especially when you are on a diet. This recipe can be prepared with any watery vegetable like white pumpkin, radish, cucumber etc. 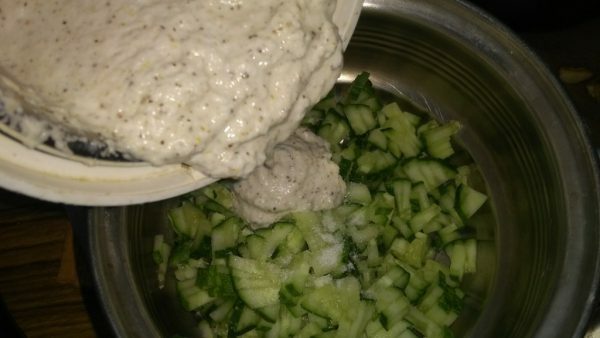 I have used only cut cucumber with ground coconut paste and curd. For tempering I added little mustard seeds, urad dal and few Curry leaves. 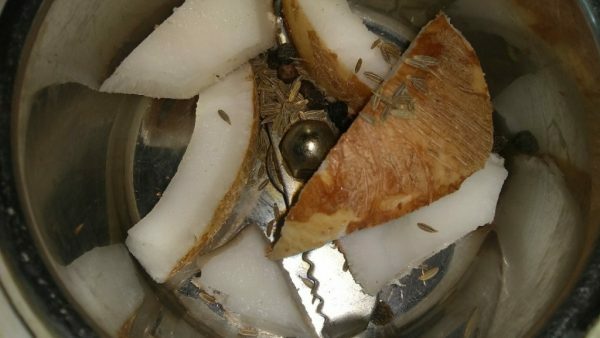 Along with coconut I added little cumin seeds and mustard seeds to make paste and this enhanced the flavor and taste of the aviyal. 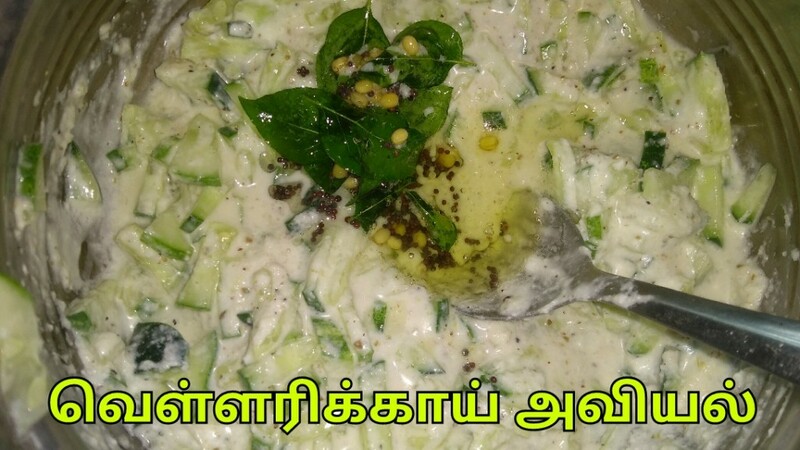 This recipe has been introduced by my lovely friend named karthy. She once brought this recipe made with grated white pumpkin, rest all other ingredients are the same. It was just awesome. 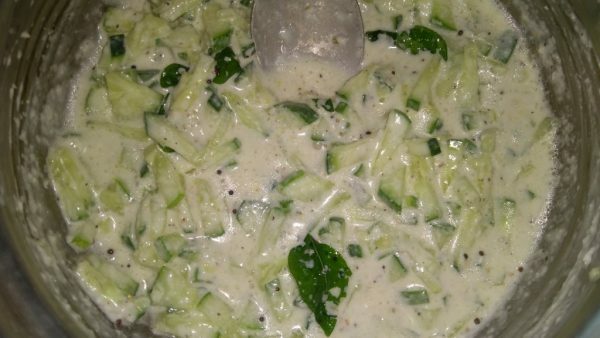 We at home prepared the same and had and now I prepared this with cucumber. As am on a diet I used to have only fruits and veggies. Used to have boiled or cooked veggies with fruits of my choice. Eating vegetables raw has numerous health benefits rather than cooking them. Some of the nutrients may lost during the process of cooking. So eating them raw is more beneficial but some vegetables has to be cooked because it has some effects on eating them raw. The health benefits of cucumber are not widely known in many cultures. The taste of fresh cucumber is somewhat bland in comparison to other squashes, but the thirst quenching and the cooling qualities of this squash are truly refreshing. Cucumber benefits range from preventing acidity to keeping skin well-toned. 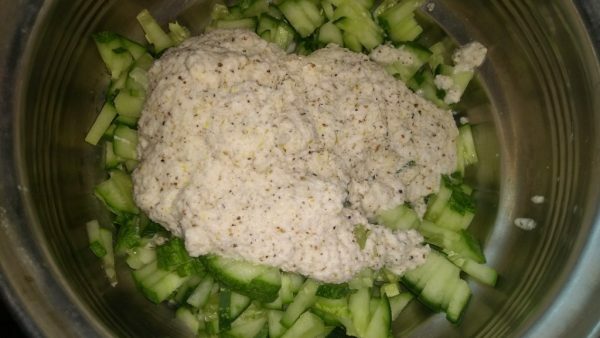 Cucumber is rich in silica, which is an essential component that aids in developing strong and healthy connective tissues in the muscles, ligaments, tendons, cartilage, and bones. Doctors often recommend cucumber juice because of the silica content for a healthier and brighter skin. Cucumber’s high water content makes it naturally hydrating, and it is well known that moisture is the best friend to healthy skin, so why not acquire the hydration naturally! The extract of cucumbers is often used topically for treating various types of skin ailments like sunburn and swelling under the eyes. Ascorbic and caffeic acid are the two vital compounds in cucumbers that prevent water loss from the body. These are some of the reasons why cucumbers are applied topically for various skin problems. You will be quite surprised to know that this squash also promotes healthy hair growth and can treat skin ailments like psoriasis, eczema, and acne. Cucumbers are a perfect blend of both fiber and water. Therefore, they help to protect your body from constipation and kidney stones. Reports say that a majority of Americans prefer to have a cucumber rich salad regularly as it is a great way to increase the fiber intake. Cucumber is also a good source of vitamin C, silica, potassium, and magnesium; all of which have their own health benefits. These fruits have an extraordinary amount of water (about 96%) that is naturally purified, thus making the water content much higher in quality than ordinary water. Cucumber skin contains high levels of vitamin A, so you will gain more nutrition if you eat the entire thing. The studies done at DASH (Dietary Approaches to Stop Hypertension) consisted of people consuming foods high in magnesium, potassium, and fiber. The results were clear; their blood pressure lowered to normal levels. The group eating a diet rich in these complexes along with the other foods on the diet like seafood, low-fat dairy items, lean meat, and poultry saw their blood pressure falling by 5.5 points (systolic) over 3.0 points (diastolic). Cucumber, therefore, regulates blood pressure and contributes to the proper structure of connective tissues in our body, including those in the muscles, bones, ligaments, cartilage, and tendons. Cucumbers have been used for diabetic patients for many years. They possess a hormone required by the beta cells during insulin production. The glycemic index (GI) of cucumbers is actually zero. The presence of carbohydrates and their result on the body is measured by the quantity of glycemic index (GI). Every food item contains essential nutrients in different percentages. 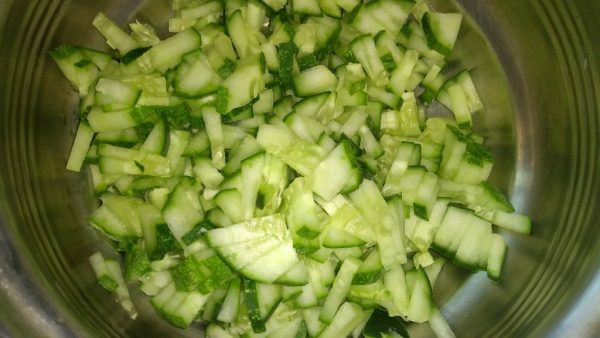 The carbohydrates contribute to raising the glucose level, however, the ones present in the cucumber can be easily digested by diabetic patients. Thus, consumption of this cool fruit keeps the glucose level in check. Nowadays, most commercial stores have cucumber supplements as spiny sea cucumber extract powder, which is very effective in combating the effects of diabetes. Cucumbers have excellent cleaning properties, and they actively remove accumulated waste and toxins from your body. 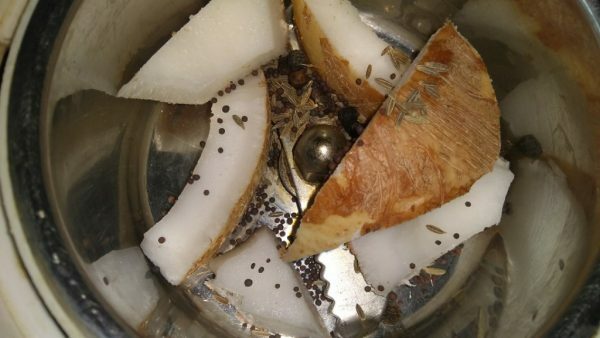 These fruits are very good for optimizing urinary bladder, kidney, liver and pancreatic functions. Cucumber juice along with carrot juice is extremely effective for rheumatic conditions caused by excessive uric acid in the body. Drinking cucumber juice on a regular basis also helps cure gout and eczema. If you are having lung or stomach problems, be sure to add it to your diet. It also promotes muscle flexibility, while the magnesium content of cucumbers ensures proper blood circulation and relaxed nerves. Since cucumbers are rich in minerals, they even prevent splitting of the finger and toenails. Cucumbers often act as antioxidants when you consume them with barbecued and fried foods. Cucumber has high alkaline levels, thus regulating the body’s blood pH and neutralizing acidity. People with gastric issues should consume cucumbers frequently. 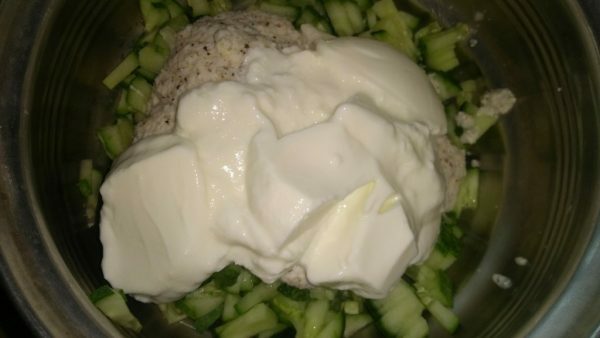 Wash cucumber and cut into small pieces do not peel of the skin. 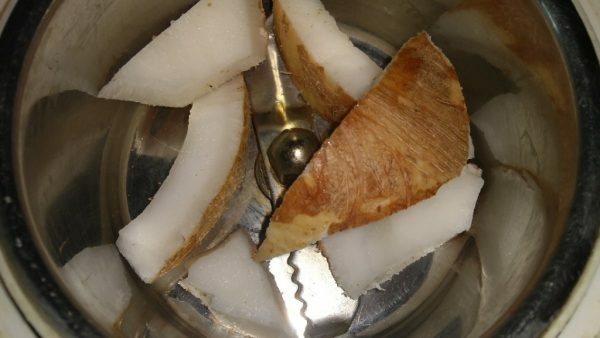 Meanwhile take 3-4 good pieces of coconut in a mixie jar. Grind to a smooth paste by adding little water. We need fresh curd to prepare this aviyal. Add required salt in the cut cucumber. 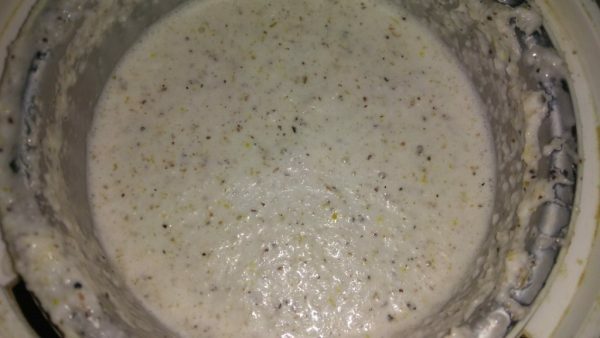 Add 4-5 tbsp fresh curd. Add even more if you like. Add 1 tsp oil in a small wok. Add 1/2 tsp mustard seeds. 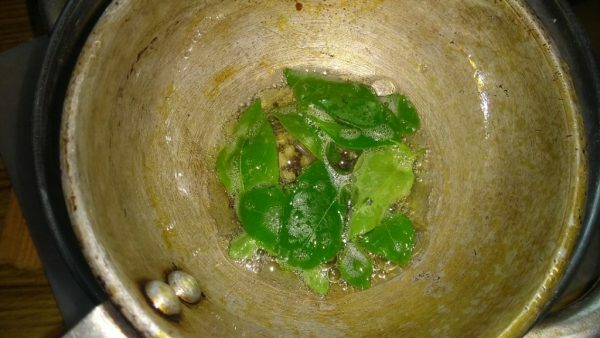 Add 1/2 tsp Urad dal and few Curry leaves. Now add it to the aviyal prepared. Mix well and serve. You can also leave it a hour so that it tastes good. Cucumber avial a healthy and tasty recipe is ready. You can have it alone or with rice or chapathi.